In this detailed article we look at the best lawn mower for those of us living in the United Kingdom (UK). Lawn mowers come in a number of different types. The choice for you will come down to the size of your gardens and how much effort you want to put in to maintain your lawns. Yes folks, even robotic lawnmowers are available today. 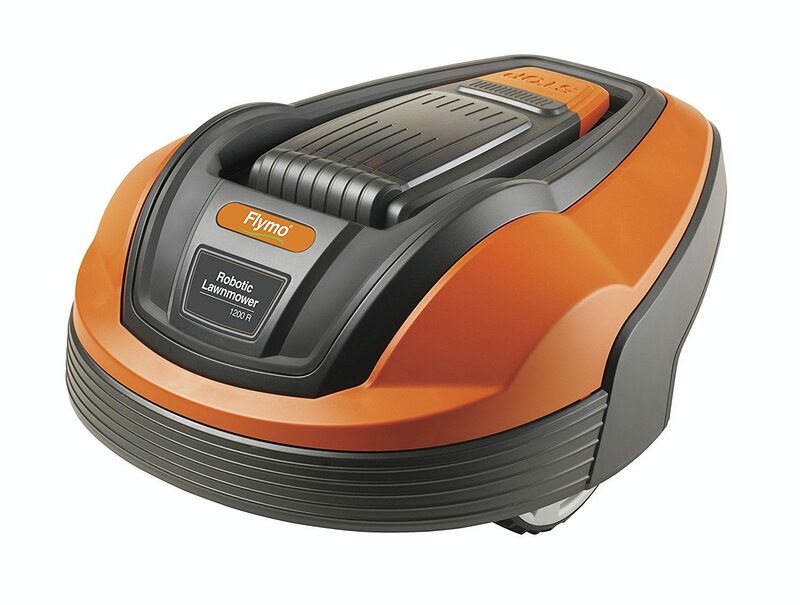 The cylinder style is a manual push lawn mower and the hover style is most typically powered by electricity. The rest have different choices of how they are powered up. They can be either electric powered, some are cordless (battery) or petrol driven, whichever is your preference. The bottom line is there is a lot of choice so we thought we would help out by trying to make your choices a great deal easier. ​Within the pages of this website you will find just about all the information you need on lawn mower UK reviews of every kind. 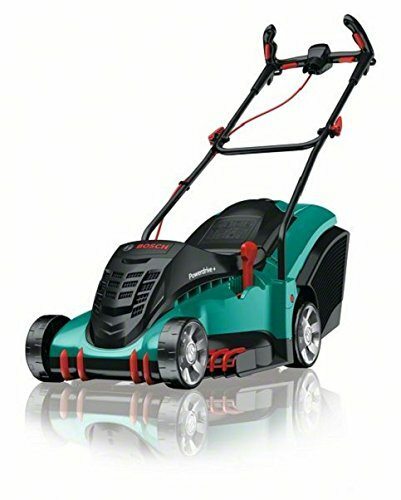 This will include the popular electric lawn mower reviews, petrol lawn mower reviews, those that you can ride on and even robotic lawnmower reviews. Not only that but we have provided a lot of other information such as maintenance tips to help you get the most from your lawn mower. Some people like to read a lot of detail before they spend their hard earned cash. We have provided that here in a range of handy and informative buying guides. In those lawn mower buying guides, we review and compare the best lawn mowers available in the UK market right now. Let's get started. Just below you will find a quick navigation guide through this page. 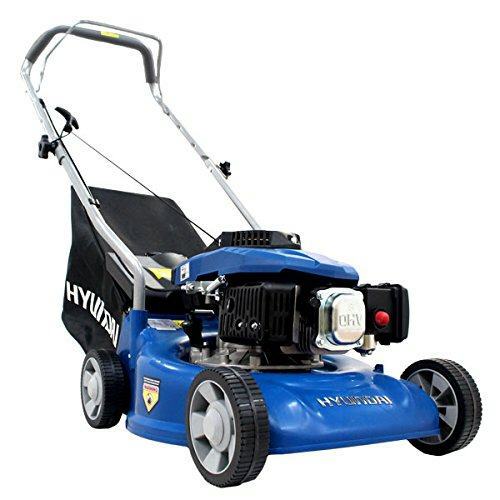 Simply click on the link if you are interested in a particular type of lawnmower. 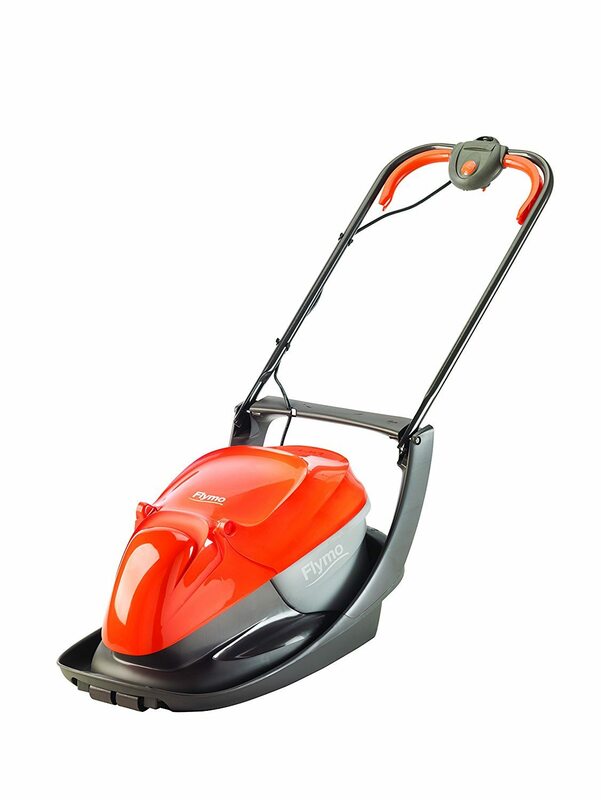 By far the most popular choice for most homes in the UK is an electric mower. This is simply because they tend to be cheaper than petrol versions, and because you simply have to plug them into an electricity supply and they are good to go. 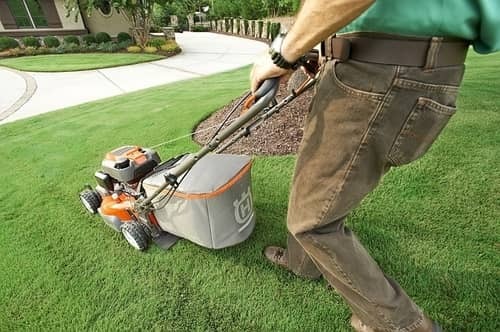 Many brands make these particular style of mowers, so we have included a buying guide. 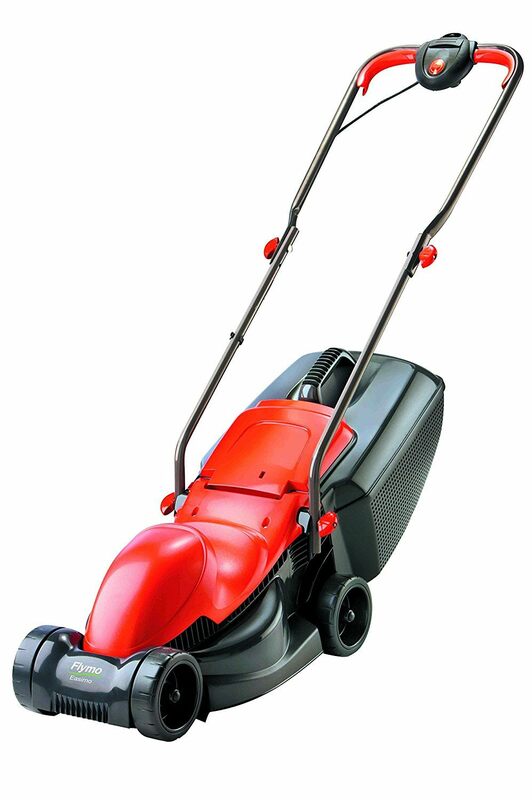 We have also included a list of the Top 5 electric lawn mowers as rated by actual buyers. The disadvantages of these is that they need to be plugged into an electrical outlet. For most homes that can also mean that an extension cable is required and that can be an inconvenience. You also have the risk of tripping over the lead or even cutting through it. As mentioned earlier the main reason people pick one of these mowers is because they are cheaper than the petrol equivalent and pretty handy and easy to use. These cost anything between £100-150. There are cheap versions of these available, but these would only be suitable for smaller gardens. A better quality one will easily handle small to medium sized gardens. People who decide to buy one of these usually do so for a couple of reasons. Usually they have bigger gardens and trying to reach the garden using extension leads can be downright awkward and even impossible. That is why the petrol mower with no leads to worry about becomes the most sensible choice. Some people also buy these as they like using a petrol engine which makes them more powerful and faster to get the job done. We have provided a buying guide and also a list of the best petrol mowers in the UK market, which you can find by clicking on the link below. The average cost for these is around £150-300. Now clearly these are not a cheap option, but they remain very popular. That is because sometimes you do have to invest, in a good quality lawnmower, that you will actually need to get your gardens cut. It is worth mentioning that typically these run off petrol/oil and you will need to buy this on an ongoing basis. The spark plug will need changed from time to time as well. There is a bit of maintenance required with these, but most handy people will find this easy enough. 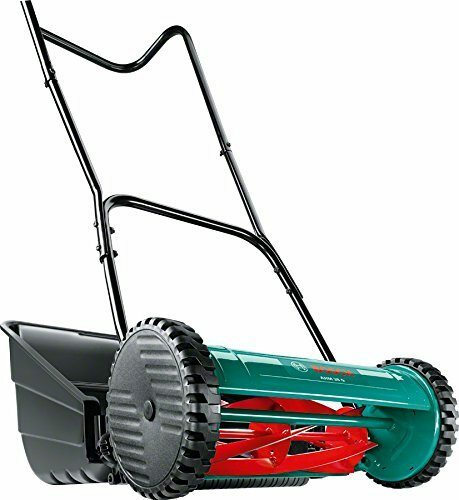 The smaller types are suitable for small to medium sized gardens and typically come with a 50 litre collection bag, and those with a 70 litre bag, and a heavier engine, are suitable for larger gardens. 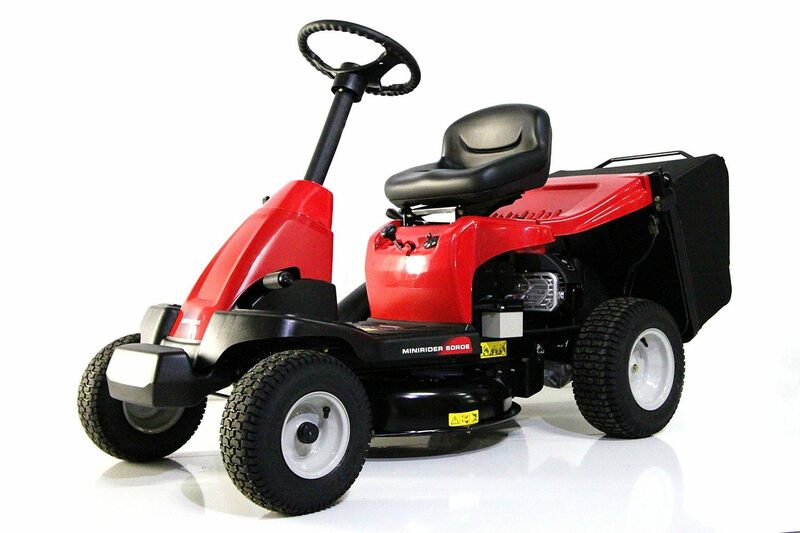 ​For those with really large lawns, or for those who can afford it, then the sit on or ride on mowers are the ideal choice. These do not come as a cheap option, but for larger gardens they are a must. Like any mower though, there are plenty to choose from. Again we have provided a buying guide and also a list of the best ride on mowers in the UK market. They cost around £500 at the low end, and go all the way up to a couple of thousand pounds.​ They are made by brands like Lawn-King, Castelgarden, Siku and McCulloch. These really do save you hours of time when it comes to cutting larger gardens, or for gardens that have steep slopes. There is a little maintenance required to keep these in good working order, but that is really not a great deal of work. Yes the robots have even reached the world of gardening. When these were first released they were quite frankly absolute rubbish. However, and with the advance of technology, these have now come on in leaps and bounds. That makes them a genuine and viable option for the lazy gardener, or for someone who just does not have the strength or mobility to use an alternative lawn mower. We have provided a buying guide and also a list of the best robotic mowers in the UK market. Now these are crazy expensive. On average you can expect to pay around £1,000.​ The good news is that these do work pretty well these days. Clearly these are a bit of a luxury, but if you can afford one, then why not? These are still available and remain the choice of many dedicated gardeners. In the main these are still a manual option but a few electric models, and petrol models are available. The petrol option is a very popular choice for many UK gardeners. They work on the principle of a number of cutting blades attached to a cylinder shape. There are wheels on the outer part of the mower and when it is pushed forwards these blades spin and cut the grass. They do a very neat job but the huge disadvantages as that to do so, will always mean having a very sharp set of blades. When these mowers are new, that is not a problem, but the blades can dull quickly, and will need to be regularly sharpened. That is a skill in its own right so just be aware of that, should you decide to go down this route. Many of these can also be adapted and used as a scarifier. The manual​ or hand pushed versions cost around £35-50 on average. The petrol versions will always be more expensive, with an average price of around £100, for something of decent quality. The hover mower is a common choice for people with small gardens. These cost around £65-90 depending on the size of the mower, and the particular brand that you decide to go with. These work by making a cushion of air, between the lawnmower and the actual grass. The key benefit of this is that they are very light, really easy to move around​ and also they cut the grass very quickly. They are also really useful if you have to cut the grass on slopes. Thanks to their light weight, and their manoeuvrability, these can really make your life a great deal easier. ​Flymo are by far the most popular brand. Other brands like Qualcast do make these for the UK market as well. The electric version is what most people will buy, but there are petrol ones available as well. The petrol version is however, a great deal more expensive. By a very long way this type of rotary mower is by far the most popular choice for all gardeners. The rotary is simply a rotating blade that spins around and cuts through the grass. You will find this type of rotary motor in hover, petrol, electric, and ride-on mowers. The cylinder mower cuts the grass using a scissor action whereas the rotary mowers use a chopping action to make their way through the grass. Rotary mowers account for about 95% of all the mowers on the market. ​I have included all the various types above, and most of these use a rotary style of blade. It is a common method of grass cutting. Mainly it uses a single cutting blade, that spins around at a very fast speed. It is important always to keep this blade sharp. For most people their lawn will be the key focal point of their garden. Simply by keeping that in good health and well cut, it can really add a lot to the overall look of the home. Now some people love their gardens and will spend a lot of time tending to them. Other people like to have a nice lawn but just need to get the job done quickly. The first lawn mower was actually invented in 1830 by a chap called Edwin Budding and he was an English man from Stroud. Before that there was the scythe, but generally speaking, people kept animals on their land to keep the grass under control. The one by Budding was made from wrought iron and was a cylinder style that was pushed along. It would be another 60 years on that the first steam powered mower was invented. It wasn't until 1900 that the first petrol mowers made an appearance and the rotary mowers only came into being in the 1950s. Almost every lawn mower on the market today uses a rotary motor and it will either be powered by electric or by petrol. They will almost all be pushed along. The motor and the quality of the cutting blades are without any doubt the two most important features to consider when buying a mower. With just a little extra care, you truly can extend the life of your lawnmower. It is fair to say that the majority of people will cut their grass with a lawnmower. They will empty out the basket, and then return the mower to the shed or garage. There it will remain until the next time it is required. With just an extra 5 minutes, and a little cleaning, you can keep your mower in tip top condition. This 5 minute task will add months, if not years, to the life of your mower. We have done an article on some basic lawn mower maintenance​ tips, which is well worth a read.